Dr. Lindsay Scharfstein at the Center for Anxiety and Behavioral Change is proud to bring the Confident Kids Camp for Selective Mutism, a well-established, Michigan-based program by Dr. Aimee Kotrba, to the DC metro area! While years of research have found typical therapy (weekly sessions in a clinical setting) to be beneficial in treating Selective Mutism, many practitioners have noticed a missing component – generalizing these gains to the school setting in an intensive manner. This intensive treatment camp allows 30 hours of effective treatment to be provided in a week versus the typical treatment of 1 hour per week. Thus, children with Selective Mutism can “get better” faster! Cost effective – more than half the cost of 30 hours of traditional therapy! Simulated classroom environment provides your child with a jump-start into the upcoming school year! Access to an expert for out-of-town families. 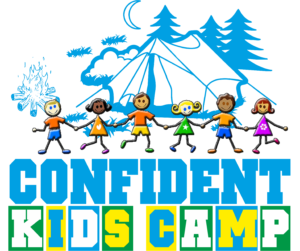 Confident Kids Camp-DC Metro is an intensive, behaviorally-based intervention for kids with Selective Mutism that focuses on generalizing speech outside of the clinic setting and directly toward the school setting. Classrooms will be divided by age, with children ages 4-7 in one classroom and ages 8+ in a separate classroom. Children younger and older than these ages will be considered on an individual basis. Parents do not attend with children. Your child will have the opportunity to “practice” being brave numerous times with numerous new adults and children, but under controlled, structured conditions that encourage talking. The summer camp is specifically held right before the beginning of a new school year, as to generalize these gains into the classroom setting of the child. Check out our Michigan location of Confident Kids Camp! As noted before, each activity is seen as an opportunity to practice being “brave,” decrease anxiety, and increase verbal communication and engagement with both peers and adults. Not only does the camp provide individualized treatment for children, but “parent training” is also included in the price of the camp. Each day, while children are eating lunch, you will have the opportunity to practice in a training session with Dr. Scharfstein that will teach you strategies to successfully decrease your child’s anxiety and increase his or her communication. Although not a requirement, it is a real benefit for camper’s parents.